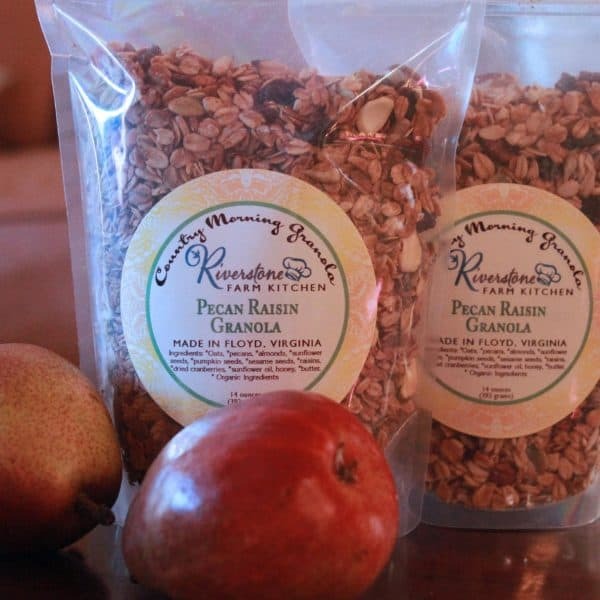 Pecan Raisin Granola is made with organic oats and sweetened with honey. It gets extra richness and a caramel flavor from a touch of butter. It is packed with fruit and nuts, including pecans, almonds, raisins, dried cranberries, pumpkin seeds and sunnies. Ingredients: * oats, *pecans, *almonds, honey, *sunflower seeds, *pumpkin seeds, *sesame seeds, *raisins, *dried cranberries, *sunflower oil, honey, *butter.